Walterdale bridge was under pressure to allow public access for regular updates on the construction progress. After reviewing the situation for safety reasons and others this was just not possible. Proposal – Live Streaming and photo/video content updates and a library of available of content on demand. 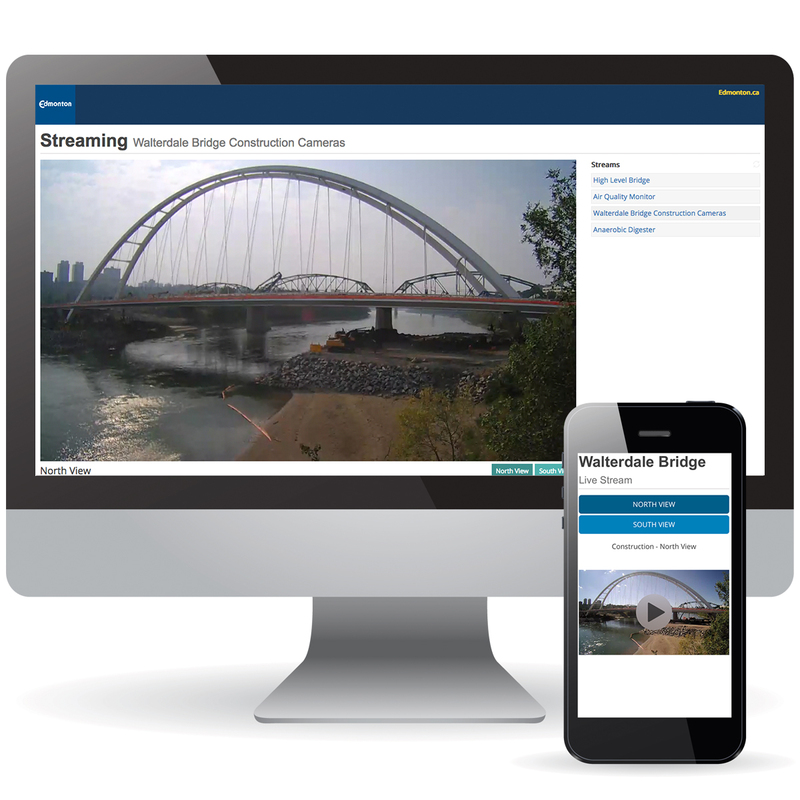 Within two weeks of proposal acceptance the bridge was online and streaming publicly. City content generation has been the highest of any recorded project and we have all of it in our hands for archives and review.